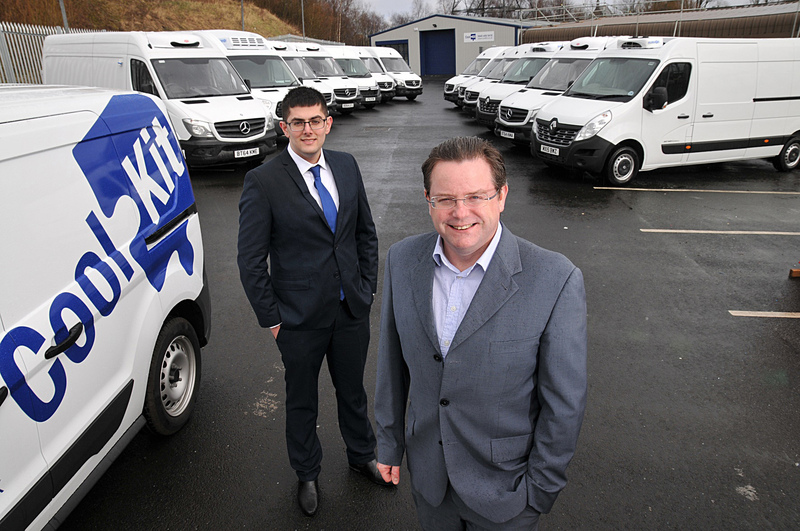 CoolKit, the successful Padiham-based provider of refrigerated vans and van conversions is on the road to further expansion with the help of a Lancashire Business Growth Fund grant of £240,000. The funds contribute to a total investment of £1,505,000, which will help CoolKit to purchase larger premises in Burnley to facilitate ongoing growth. Established in 2005, CoolKit has grown after enjoying record sales in the last few years. Having doubled the size of its facilities in 2015 and investing heavily in new manufacturing equipment to help meet increased demand, the company currently employs 40 people, supplying a full range of refrigerated vans, van conversions and associated products including its own range of vehicle lining kits and mobile aftersales support engineers. Working with a wide range of clients including vehicle leasing and rental companies, motor dealerships and fleet buyers, operating in trades such as food service, pharmaceuticals, and sampling, as well as others requiring temperature controlled transportation, the company recently announced contracts with Welsh Water, Alpine Fine Foods and Alphabet. CoolKit managing director Rupert Gatty links the company’s expansion to its refrigerated vehicle conversions, which have built a reputation in the industry for their light weight, durability, versatility and strength, helping provide customers with the highest payload and most reliable performance throughout the vehicle lifetime. He said: “These are exciting times for CoolKit. With record growth year-on-year, we will soon be announcing details of further expansion after some additional big contract wins. Both Chambers of Commerce are the largest financially and politically independent business support organisations in Lancashire. They have a combined membership base of more than 2,500 local companies who own, manage, and finance their business support services. Both Chambers are fully accredited members of the British Chambers of Commerce (BCC). The BCC represents, through a quality assured, UK network of Accredited Chambers of Commerce, more than 100,000 businesses in all sectors of the economy, and of all sizes. Accredited Chambers seek to represent the interests and support the competitiveness and growth of all businesses in their communities and regions.